There are 5 returning State Medalists in the Class 3 Girls Triple Jump, with last year's runner up Maggie Klover as the top returner. Her PR from the State Meet of 36-3 is the forth highest returning jump, and if she wants to win it all she'll have to hold off Jordyn White who has a PR of 38-2 from her District Meet. Boys Defending State Champion Rasheed Ricketts is the lone returning State Medalist, and he's the sure fire favorite to win it all again in 2019. 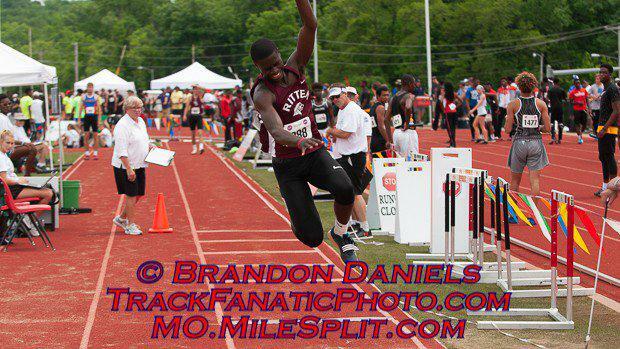 He jumped a monster 48-10 indoors last week, which is over 4 feet farther than the next closest jumper from last year.